- then 2 bars open or a 2 bar turnaround. (We will look at turnarounds later). 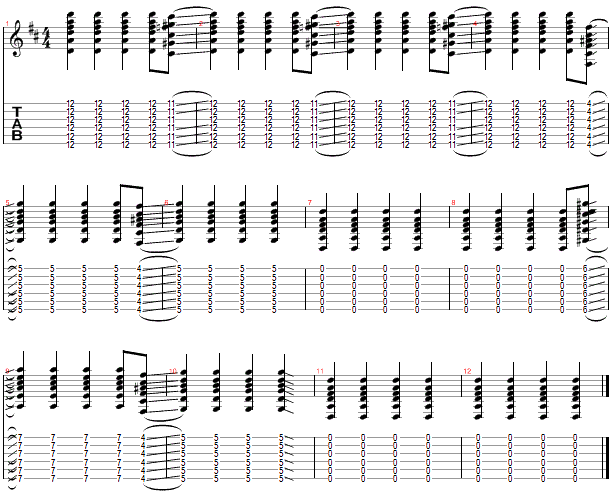 Play this sequence a lot as it is the basis of lots of blues slide tunes. In future lessons we will be putting some melody on these chords so it is important that you practice until the positions become automatic. 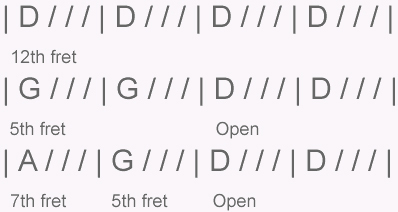 We will also look at the position at the third fret.